Acid reflux in newborns is a distressing disease. The food that we eat enters the stomach through a tube called the oesophagus. A ring of muscles known as the lower oesophageal sphincter opens to allow food to enter the stomach. It normally opens to release gases after a meal. In case of infants the contents reflux out of the mouth and cause vomiting or regurgitation. It occurs in newborns during the first three months of age, and usually, the symptoms disappear by the time the child is 18 months old. However, at times the symptoms of acid reflux are severe requiring medical evaluation and treatment. 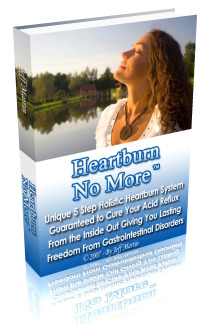 Heartburn is often taken lightly by many and is thought to be just a simple burning sensation. However, many a times, this simple heartburn is merely a symptom of the more dangerous GERD or Gastro-oesophageal reflux disease underlying it. It is most popularly known as acid reflux. Acid reflux in newborns can create many problems, for the simple reason that it can go undetected. Unlike adults, newborns cannot really convey what they feel, when they are attacked by this irritating disorder. Another complication is that the GERD is relatively rare in infants. Even if the newborn does acquire it, the first symptoms like throwing up, spitting, etc, are mistaken to be 'normal' in babies that are so young. However, besides these symptoms, parents often notice some other symptoms on close observation, which are definitely abnormal in newborn babies. Acid reflux in newborn babies can cause symptoms like pneumonia, wheezing, inability to grow or put on weight, feeding aversion and more. The symptoms may vary from one baby to another. Hence, if you see even just one or a few of such symptoms in your newborn, it is always advisable to consult the paediatrician as soon as possible. Sometimes, the child may not even manifest such symptoms. This condition is also known as silent GERD. Difficult to diagnose and understand, this condition may go undetected for a very long time. Once the disease is diagnosed, you have won half the battle for your baby, as there are many effective ways in which you can treat acid reflux. While some parents like to stick to their paediatrician for conventional treatment, other parents consider taking help of over-the-counter medicine. This should be strictly avoided, as pills can cause serious and fatal side effects in babies. Also, even if conventional medicine is helpful to cure the symptoms, sometimes, even the best medicines may fail to attack the root cause of acid reflux. Therefore, it may continue to flourish as soon as the superficial treatment is over. Relapse is fairly common with conventional medication and treatment. Hence, more and more parents are turning to the idea of holistic treatment not just to cure acid reflux in their newborns, but also to eliminate it for good. · It is safe and has no side effects. · It not only eliminates the symptoms of acid reflux, but also the root cause of the disease and thereby prevents its recurrence. · Holistic treatment avoids newborn babies from being subjected to harsh conventional forms of treatment like surgery. Despite this, it is always recommended that you seek the opinion of your doctor, before switching from conventional medication to holistic treatment, as any major change entails paying notice to a large number of meticulous details and complications. Holistic treatment has been a major success in eliminating acid reflux in cases where conventional treatment has grossly failed.